Containing powerful amounts of Lemon, Rosehip, Orange, Grapefruit and Calendula, this foaming cleanser is designed to buff away skin concerns. 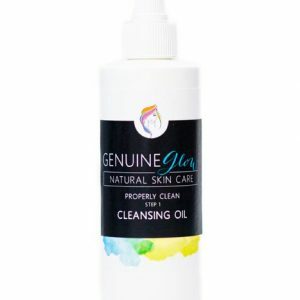 A beneficial amount of naturally occurring Glycolic Acid will exfoliate and help maintain the health and look of your skin. This formula helps to promote new tissue growth in addition to healing and calming the complexion by providing anti-inflammatory benefits through a substantial amount of antioxidants, Vitamins A, C, and K, Iron, Potassium, Calcium and Zinc. High in antioxidants, Glycolic Acid and Vitamin C.
Rosehip- High content of Vitamins A and C, fatty acids and antioxidants. Orange – Contains numerous minerals and vitamins including Vitamin C, Vitamin B1, Folic Acid, Alpha-Carotene, and Beta-Carotene. Calendula – Calming, healing, anti-inflammatory, and helps promote new tissue growth. Brightens skin and protects from blemishes. Grapefruit – Considered an excellent antioxidant. High in Vitamin C, fiber, potassium, iron, and calcium. Lemon – Contains over 40 antioxidant flavonoids, pectin, and Vitamin C. Brightens skin with its rejuvenating properties and leaves the skin soft and supple. Increases blood circulation, tone, and vitality. Powerful astringent that reduces age spots, strengthens skin, and detoxifies. Castile Soap – A natural liquid made from vegetable oils. It accelerates healing while naturally cleansing the skin. 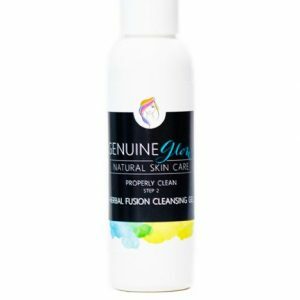 This pure, gentle foaming soap won’t clog pores or cause irritation. Raw Sugar – Naturally contains Glycolic Acid, which exfoliates and helps maintain the health and look of your skin. Citronella – An essential oil extracted from lemongrass, Citronella has detoxifying, anti-inflammatory and anti-microbial properties. Its lemony aroma is refreshing and uplifting. Apply a quarter size amount onto damp skin 2-3 times per week (based on sensitivity). Massage gently into the skin for up to 2 minutes. Rinse well. 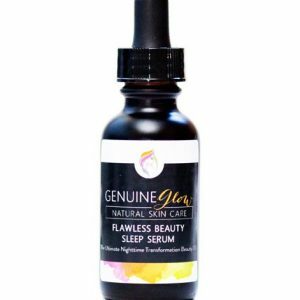 Follow with Genuine Glow’s Clarifying Toner, Vitamin Infused Facial Serum and/or moisturizer. My face was immediately more smooth and bright after using once! This is an amazing product. I’m surprised I don’t see it around more. Works wonders for your complexion. Smoothes and brightens after one use. It’s amazing! I love this — a little goes a long way. I love now that it comes with a scoop! This is by far one of the best exfoliates I’ve ever used. Your skin looks noticeably different after using it. Saw this mentioned in a magazine (I think Elle) and purchased soon after. Really nice finish and texture. Makes my skin incredibly soft and bright. This lasts a while, but I use it on my neck and chest too. The citrus smell is phenomenal. I love it…it just smells like freshness. I highly recommend this product. This is a really great exfoliator. I love that it turns white and foams when you mix it with water. My skin looks different and better each time I use it. It’s super easy to use too….just scoop, mix with water in your hand and apply. 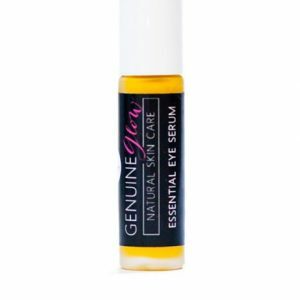 This has helped lighten dark spots, soften lines, and makes my pores disappear. I am all about Face Polish. I LOVED this polish! I can’t wait to try more of these skin care products. This was SO NICE. I highly recommend!! Not only does this product have a beautiful, fresh scent, it will leave your skin feeling soft and cleaner than ever before. I highly recommend this polish!! Really great scrub! I use this every day and it’s not too harsh for everyday use. My skin feels amazing afterwards and I can really notice the difference. Brilliant scrub!